This summer, Sotheby's will be auctioning off what may become the most expensive instrument ever sold. It's a Stradivarius viola. CORNISH: Sotheby's expects that viola will sell for at least $45 million. This prompted our Planet Money team to wonder how much of what we think of as the beautiful sound of a Stradivarius is the instrument itself and how much is the brand? Here's NPR's David Kestenbaum. DAVID KESTENBAUM, BYLINE: Part of a good brand is a good story. 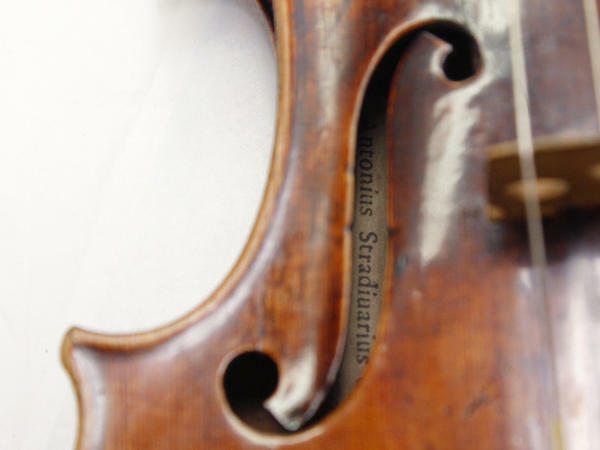 And there are lots of good Stradivarius stories. You probably know the main one, Antonio Stradivari was a master craftsman. When he died in 1737, his secrets died with him. Nobody has been able to duplicate the sound. And then, there is the story of the Stradivarius played by soloist Josh Bell. I went to talk to him at his apartment here in New York. He was playing on the Stradivarius when I got off the elevator. 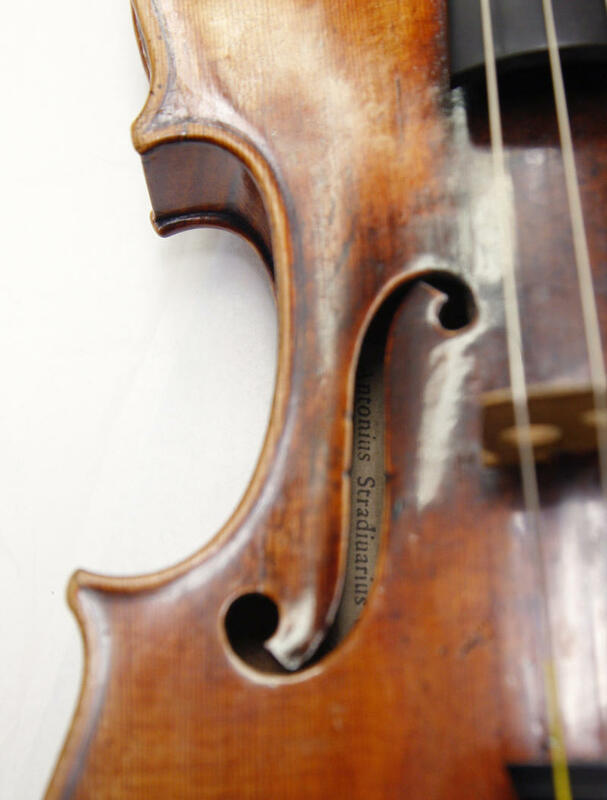 KESTENBAUM: This Stradivarius used to belong to a man named Branislav Huberman. In 1936, Huberman was playing uptown at Carnegie Hall. And Josh Bell says, he left the Stradivarius in his dressing room. BELL: After the concert - in fact, I think while still clapping for his final piece - his assistant ran on stage and said your Strad is gone. KESTENBAUM: Stolen. And it was stolen, not by some guy trying to make money. It was stolen by another violin player named Julian Altman. What did Altman do with it? BELL: He just played on it, and he played gigs in cafes and orchestras, things like that. I think he stole it because he wanted a Strad and wanted to play on it and this was the only way he was going to get one was to steal it. KESTENBAUM: Josh Bell fell in love the first time he played it. If we were talking about some other product, say, a Coca-Cola. There is a way to filter out the power of the brand. There is the blind taste test, a test where you don't know what you're drinking. And you could do a blinded test with a Stradivarius. In fact in 2010, researchers did just that. It was at a violin conference. They took musicians up to a dimly lit hotel room and had them play old and new violins while wearing welding goggles. Joseph Curtain, a violin maker who helped run the experiment, says they had to do this, so powerful is the idea of a Strad that if you know you're holding this 300-year-old instrument made by the greatest violin maker, it's very hard to just listen to it and judge it purely for its sound. JOSEPH CURTAIN: When you pick up a Strad, it's impossible to forget that it's a Strad. KESTENBAUM: Even if you try really hard? CURTAIN: Well, trying to forget isn't usually a very successful project. KESTENBAUM: One of the violinists who took part in the experiment was John Soloninka. He was convinced going in that he could pick out a Stradivarius, but he could not. JOHN SOLONINKA: And I said OK, now you see where I'm doing this? That's clearly what an old instrument does. And then on another violin, I'd say now you hear that, you see the way it sort of breaks, or it does this, or it's sort of a bit cloudy, that's much more of a new instrument. And in fact in both of those cases, I was wrong. I was actually playing, you know, the opposite of what I thought I was playing. KESTENBAUM: When the researchers totaled things up, there was no evidence the players could reliably pick old from new, and when the players were asked to pick their favorite instrument, the winner was a modern, freshly made violin. A lot of violinists heard these results and said no way. One told the New York Times that comparing new and old violins in a hotel room was like, quote, trying to compare a Ford and a Ferrari in a Wal-Mart parking lot. This seemed like a fair point. So the researchers repeated the experiment with more violins, better players and no more hotel room. Musicians got to play the violins in a concert hall. And the results were basically the same: no evidence the players could tell old from the new; the most favorite violin again was a new one. In a way the results were liberating. They suggested you didn't have to spend millions of dollars to get a violin with top-quality sound. But Joseph Curtain, the researcher, says he was also a little sad. Remember he's a violin maker, too. CURTAIN: I did get quite depressed for a little while. CURTAIN: Well, it is partly a sense of disillusion. I've spent, you know, the bulk of my adult life trying to imitate these old instruments, and the question is well, what am I aspiring to, what are you going to do next, things like that. KESTENBAUM: Sometimes when you debunk a myth, you realize part of you kind of liked the myth. And that question, how much of what we think of as the beautiful sound of a Stradivarius is the real sound of the instrument and how much is our brains telling us it's beautiful because it's a Strad, well, studies suggest some part of it is the story. That's probably true for all kinds of stuff: the clothes we wear; the cars we buy. Our enjoyment of things is not just the thing. There's all this other stuff around it, and it can be very hard to separate out the two. David Kestenbaum, NPR News. UNIDENTIFIED WOMAN: Support for Planet Money comes from State Farm. Get to a better state, 1-800-STATE-FARM or statefarm.com. Police in Milwaukee have recovered "Lipinski" – a 300-year-old Stradivarius stolen last month from a concertmaster as he was walking to his car with the rare violin.